Does your family share stories around the dinner table? Do you ask your kids about their day at school? These are perfect opportunities to connect with our kids – and to use American Sign Language at home. 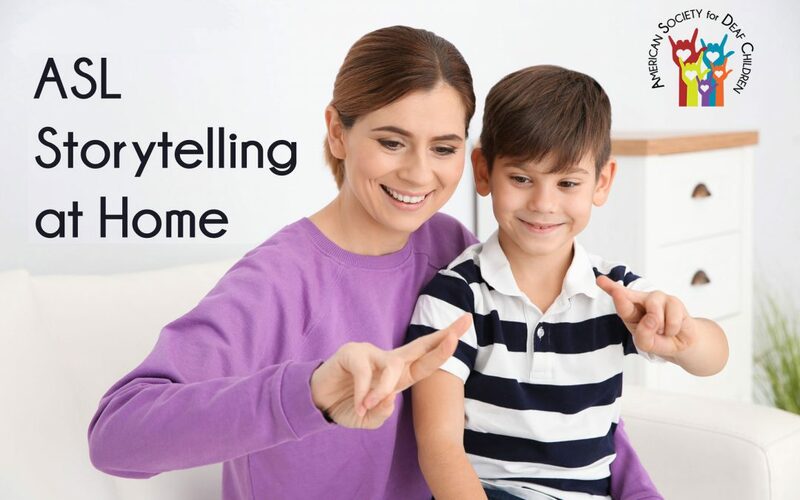 In this article, you’ll learn how sharing stories about your day in ASL is different than telling stories in spoken language, why it’s important to learn ASL storytelling skills, and how to do it! With verbal language, it is possible to tell a story without using your hands or without showing emotion. With ASL, these elements are essential. ASL opens up a completely new way of telling stories. Signing allows you to use your body and the space around you to set the stage, introduce characters, and show action in fun and creative ways. ASL storytelling is an art form unique to the Deaf community. It’s a key element of Deaf cultural tradition. But in the age of captioning, there is a concern that the art of ASL storytelling will be lost on the younger generation. 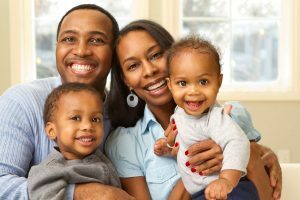 For this reason, hearing parents of deaf children are encouraged to find a Deaf role model who can help families develop storytelling skills. ASDC has a new program that makes it easy for you to meet and practice your ASL with a Deaf role model? For a limited time, ASDC members can get five online practice sessions – a $150 value – free of charge.Become an ASDC member today and then enroll for your free SignOn with ASDC sessions. At this year’s ASDC Conference, you can attend a special 2-day workshop with master ASL storytellers Peter Cook and Keith Wann. They will teach you simple techniques that will make your signed stories come to life. See how easy it is to use your eyes, head, and body to switch between the role of narrator and character. Learn how to show a conversation or describe an interaction between two people. Find fun ways to describe physical characteristics of people, animals, and objects. You will leave this highly interactive workshop with new skills you can use every day. You are welcome to attend ASDC’s ASL Weekend – a unique two-day event for families and professionals who want to take their ASL skills to the next level. The ASL Weekend includes several workshops, small classes, and one-on-one attention that will focus on Deaf culture, ASL and much more.